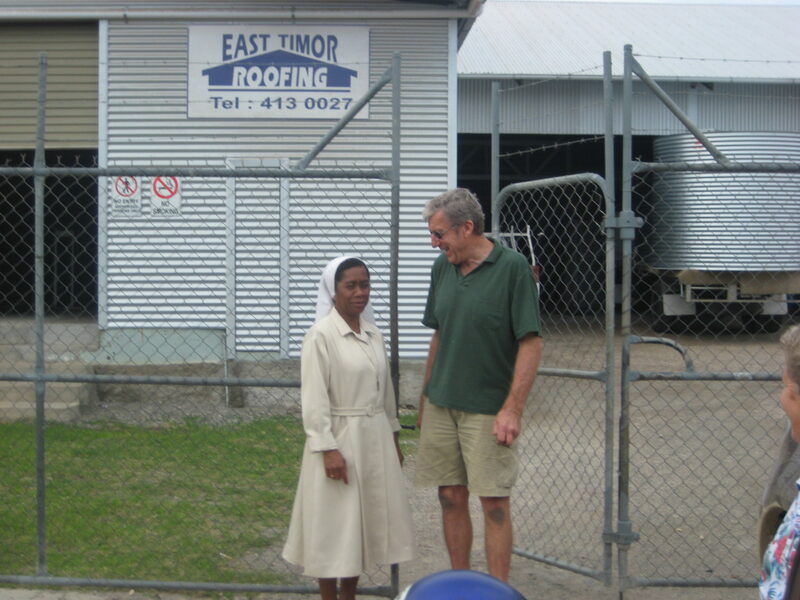 Norm Bruce has spent the last 16 years in East Timor as manager of the East Timor Roofing operation. Retirement now beckons. Norm’s job was to manage the mill and train the staff. He adapted the existing primitive accommodation for himself at the factory, slowly improving the conditions, so that he now has running water, sewerage and reasonable accommodation. It is clearly a job for love, not material gain, as he received a living allowance of about $1,000 a month from Australian Volunteers International (AVI), gradually increasing when the project became financially viable. Norm has developed a loyal workforce of about 20 full-time people, with 18 men working the mill, two women doing the books and casuals as needed. He and his workers have used well over 12,500 tonnes of steel to make roofing and associated products – refer to our International Projects . Additionally on the same night the in coming manager of the East Timor Roofing – Mr. Osorio de Jesus was inducted as a Friend of Rotary.